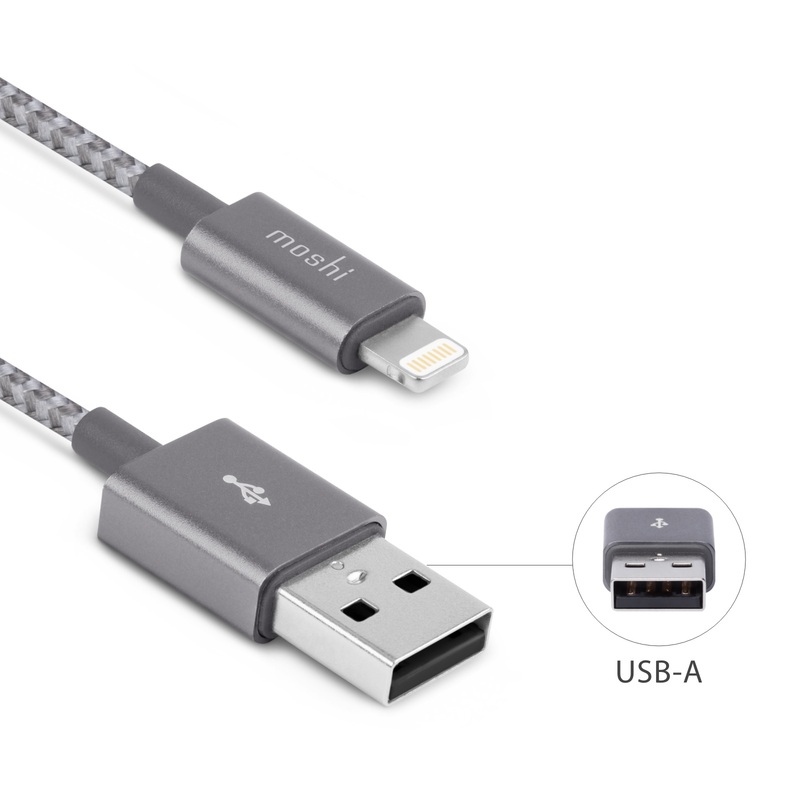 Power up your device with an incredibly durable Lightning to USB-A Charge/Sync Cable. Constructed with a high-performance IntegraCore spine and ballistic nylon braided sleeve for exceptional durability. 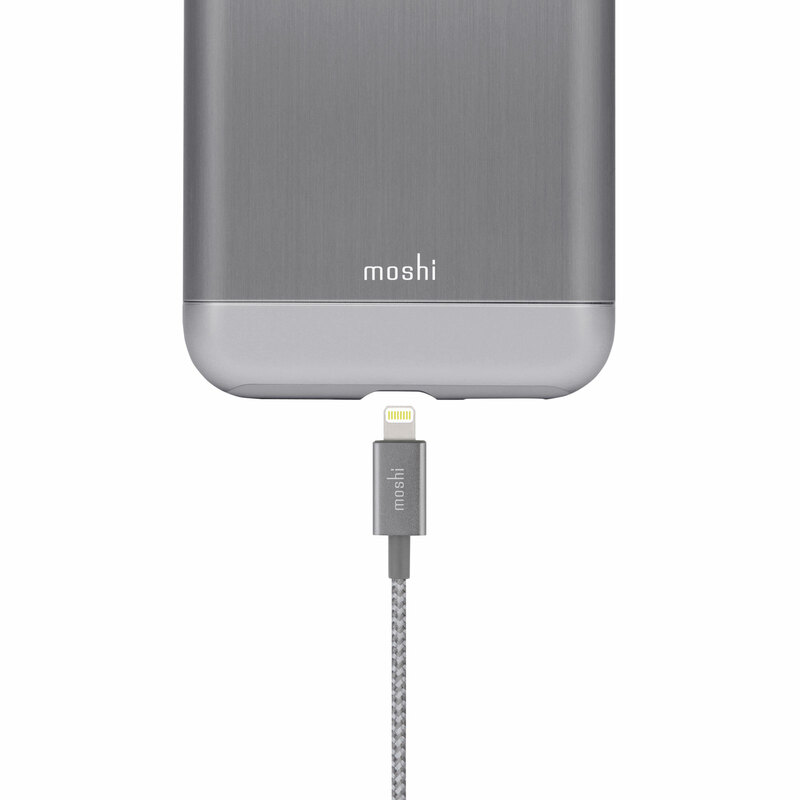 Power up with Moshi's Integra™ Series Lightning to USB-A Charge/Sync Cable. 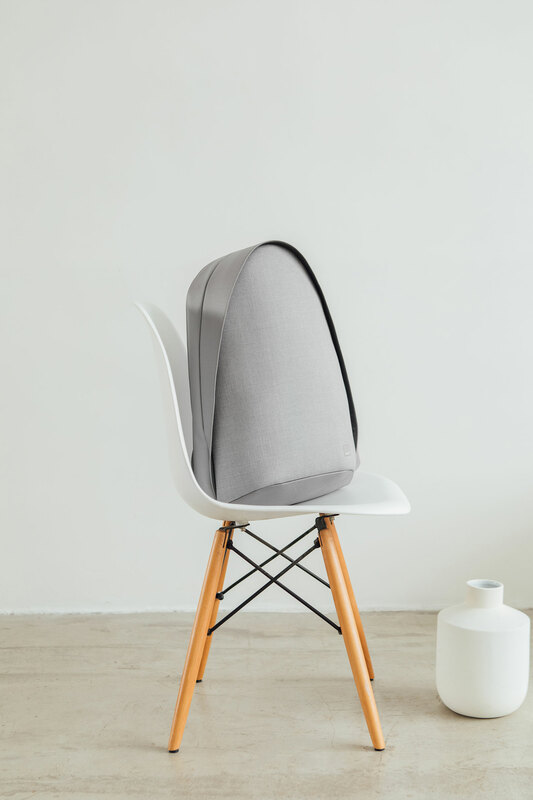 Constructed using a high-performance IntegraCore™ spine, this cable exceeds 20,000 cycles of 180-degree bend testing to provide exceptional durability. Its ballistic nylon braiding is abrasion-resistant and the cable's anodized aluminum housings are designed to withstand long-term wear and tear. 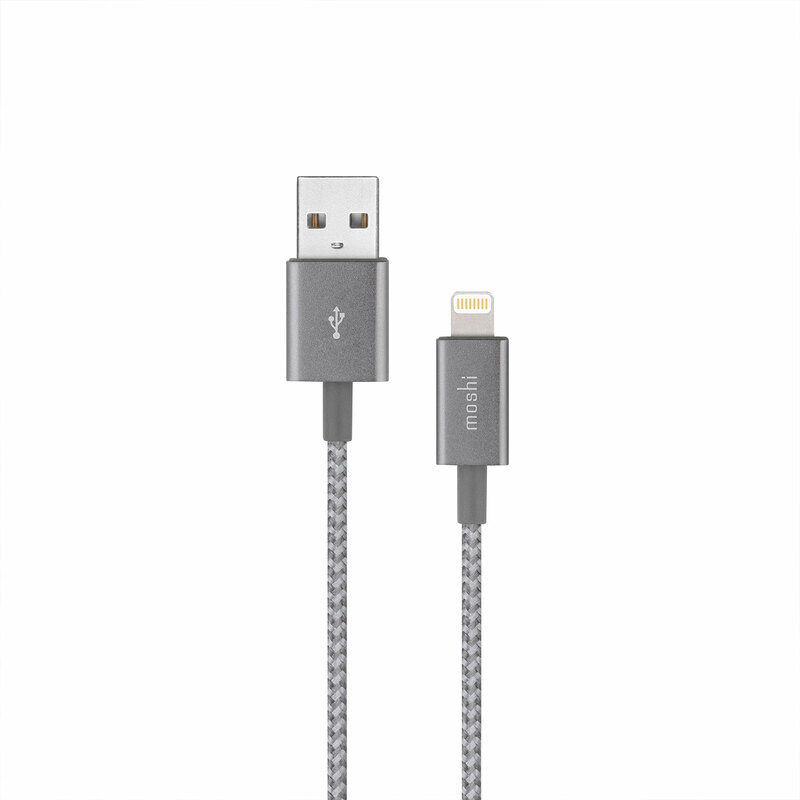 Twenty percent longer than a typical Lightning cable, this MFi-certified charge/sync cable supports high-output power delivery up to 12 W from USB chargers such as Moshi's Rewind or Car Charger. 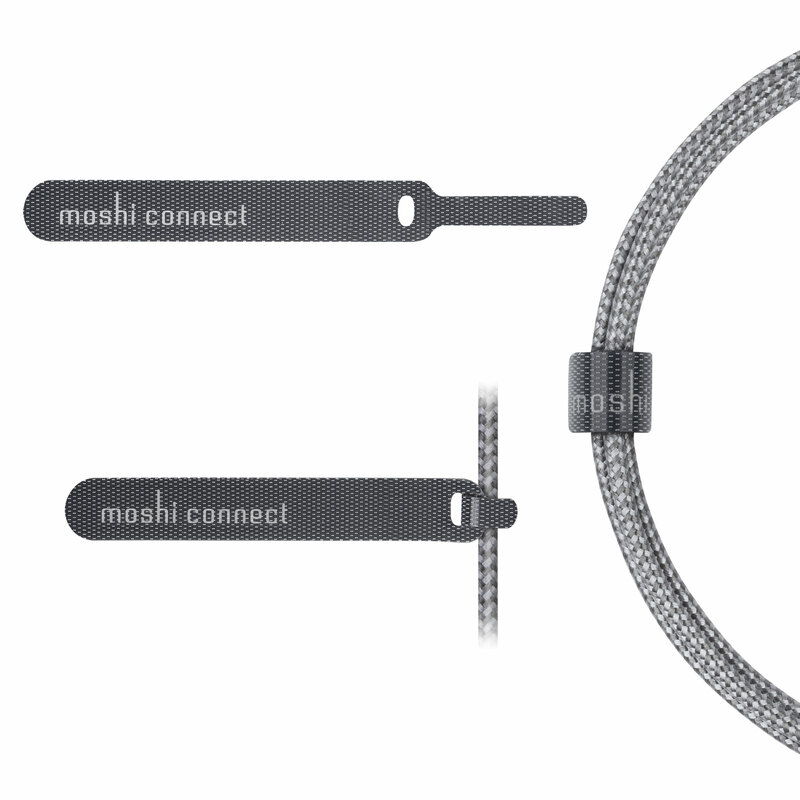 Reinforced stress relief points combined with premium materials means Moshi's Integra cables are built to last.